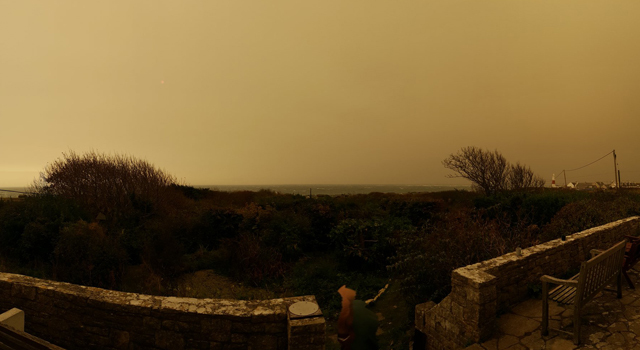 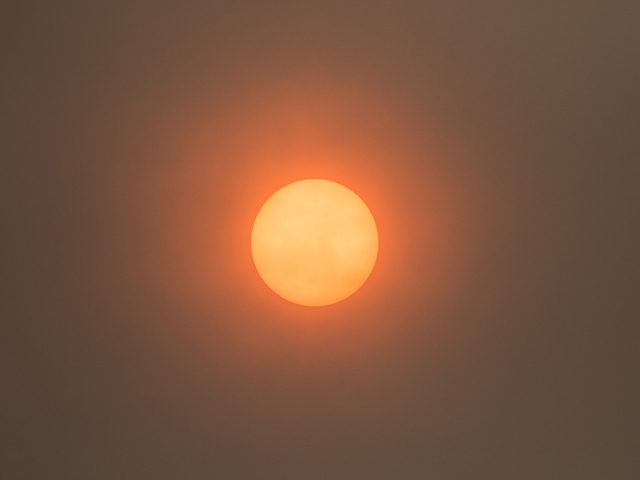 A day of freakish conditions with the island experiencing not only gale force winds on the periphery of storm Ophelia but also some bizarre atmospheric effects as the storm sucked up dust and smoke laden air from Iberia and north Africa. 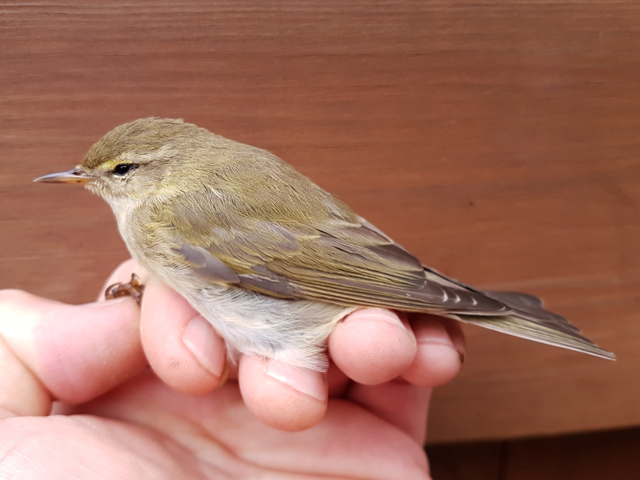 Birding on the land was really difficult in the raging wind but Firecrest was again the headline bird, with plenty of lingerers - and new arrivals? 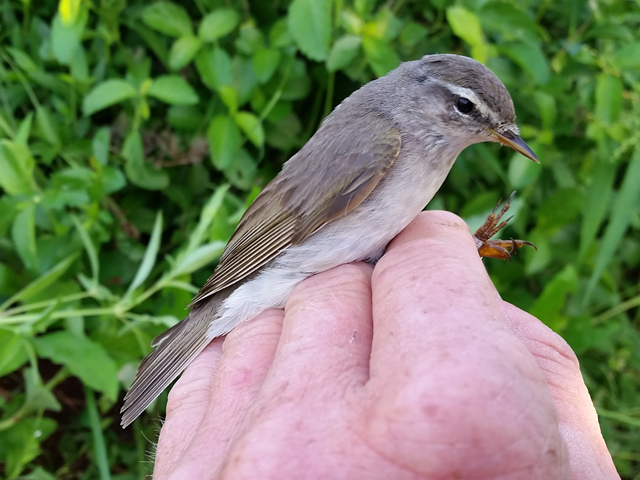 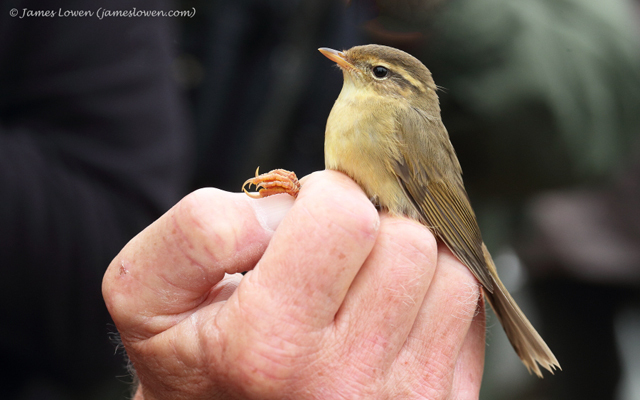 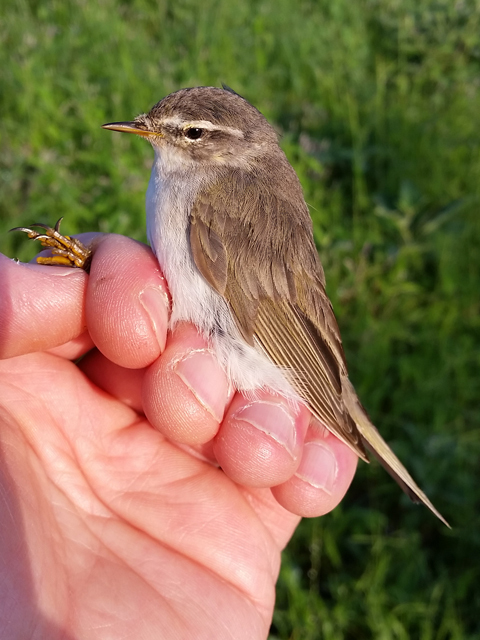 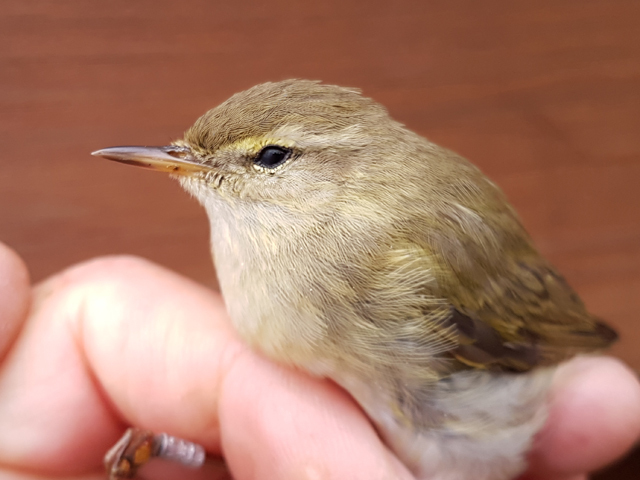 - from yesterday's exceptional influx; 23 new birds were trapped and ringed at the Bill where there were likely more than 50 present in total, whilst dibs and drabs elsewhere totalled at least another 10. 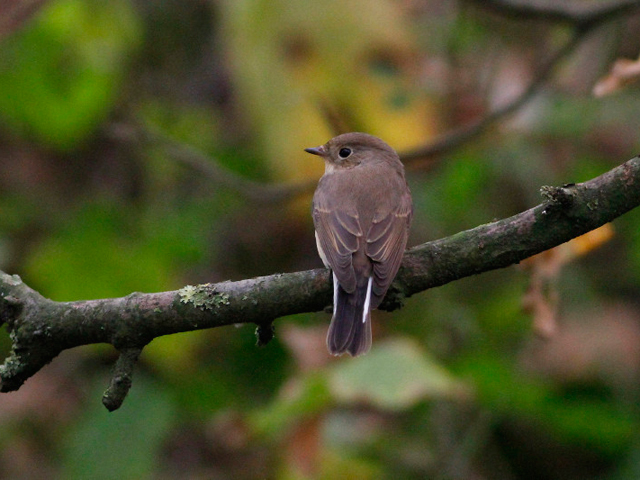 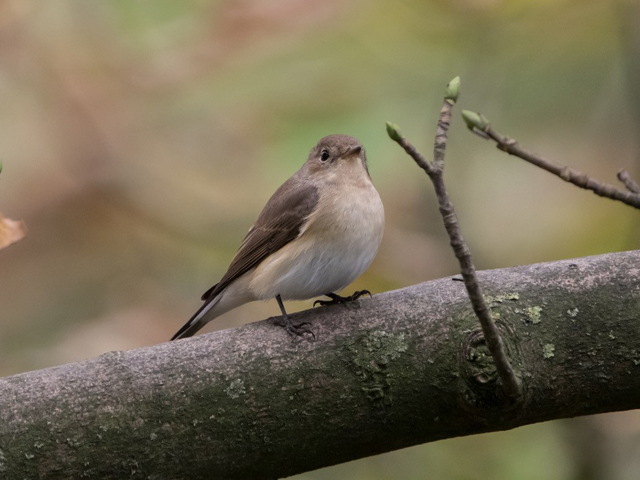 Yesterday's Red-breasted Flycatcher remained at Broadcroft Quarry but with serious census work out of the question there were no other surprises discovered lurking in what shelter there was; a further build-up in Linnet numbers saw the off-passage gatherings around the south of the island reach around 2500. 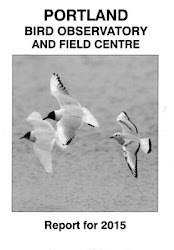 The sea got a lot of attention but the rewards were pretty lean, with 5 Great Skuas, 3 Arctic Skuas and a Balearic Shearwater through off the Bill and another Great Skua and an unidentified petrel off Chesil Cove. 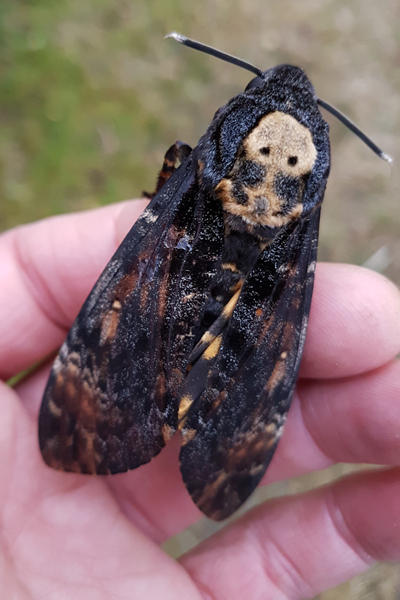 Although the full effects of storm Ophelia likely came a little too late in the night to be hugely influential there was nonetheless a welcome upturn in immigrant moth numbers, with a Death's-head Hawkmoth the chief prize at the Obs; the catch there also included 29 Rusty-dot Pearl, 14 Delicate, 7 Vestal, 7 Silver Y, 3 Scarce Bordered Straw, 2 Rush Veneer and singles of Four-spotted Footman and White-speck, whilst a Radford's Flame Shoulder at the Grove was the pick of the lower numbers reported from other trap sites.